Healdsburg District Hospital volunteers are a dedicated group of people who care deeply about the hospital and our patients. Volunteers provide patient care services, such as bringing water and nourishment to patients, taking them to their rooms, discharging them, and assisting the hospital staff. 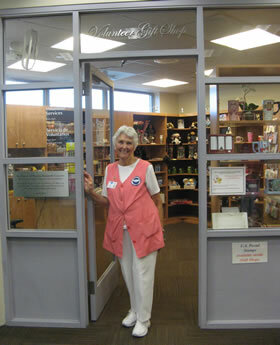 Volunteers also run the gift shop, where any money earned goes toward scholarships for students in the medical field. The gift shop was recently remodeled with a generous donation from Norma Cousins and the Rafanelli family. If you are interested in joining our volunteers, please call (707) 431-6500 x 6611. Healdsburg District Hospital awarded a Certificate of Distinction by The Joint Commission for advanced certification as a Primary Stroke Center and accredited in the Critical Access Hospital and Laboratory accreditation program.